Summary: Epsom salt, or magnesium sulfate, has long been used as a home remedy for a variety of ailments. Added to bath water, it has been used to relieve colds, back pain, ease muscle tension and treat certain skin conditions. The chemical work done by our cells, called metabolism, is what keeps us alive, allows us to grow and reproduce, adjust to our environment and do the daily repair work necessary for good health. Our cells need magnesium to do this work. About half the magnesium in the body is found in bone and half in muscle and soft tissues. 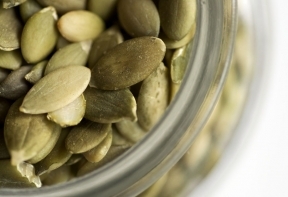 It is an essential mineral, yet three out of four Americans don’t get enough magnesium from their diets. In addition, certain lifestyle factors like alcohol consumption and the use of diuretics cause a depletion of magnesium.vi These facts are reason for concern and it’s likely that many of us have symptoms of magnesium deficiency and don’t even know it. The other component of Epsom salt is sulfate. Researcher Stephanie Seneff says, “Sulfur is known as a healing mineral, and a sulfur deficiency often leads to pain and inflammation associated with various muscle and skeletal disorders.”viii She believes that modern farming practices and lifestyle habits like the use of sunscreen has led to sulfate deficiency and may be linked to such problems as obesity and heart disease. ● plays an important role in metabolism. A study tested the ability of skin to absorb magnesium and sulfate from Epsom salt in bath water. Both blood levels and urine levels of magnesium and sulfate increased as a result of bathing in Epsom salt dissolved in bath waterix. 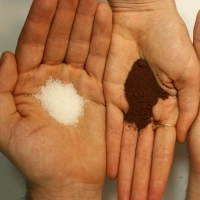 Researchers concluded that magnesium sulfate is absorbed through the skin. ● can help prevent migraine headaches. ● delay preterm birth by relaxing uterine muscle contraction. Parents of children with autism or ADHD report benefits for children given Epsom salt baths. It is thought that the sulfate supplied through the skin improves neurotransmitter function helping children to feel calmer. Since most of us are not getting enough magnesium from our foods, it’s a good idea to eat more foods high in magnesium. If you grow your own food, you can increase the magnesium content of fruits and vegetables by adding Epsom salt to the base of the plants or adding it to the trench at planting time. Do not use Epsom salt or magnesium sulfate supplements internally without the advice of your physician as several types of medications can interact with magnesium supplements or affect magnesium levels in the blood. Also, an overdose of magnesium sulfate can be fatal. It’s unlikely that you could absorb a dangerous amount of magnesium sulfate from bathing, although your body will absorb the magnesium and sulfate. Bathing in water with dissolved Epsom salt is a safe way to increase magnesium and sulfate levels in the body. Add one or two cups of Epsom salt to your bath (or follow package instructions) to ease tension, relieve sore muscles and help you relax before going to bed. Learn another way to use salts for healing or how to use epsom salts in the garden. i. George D. Pamplona-Roger, Encyclopedia of Foods and Their Healing Power (Madrid, Spain: 2004). v. Deng X, Song Y, Manson JE, Signorello LB, Zhang SM, Shrubsole MJ, Ness RM, Seidner DL, Dai Q., “Magnesium, vitamin D status and mortality: results from US National Health and Nutrition Examination Survey (NHANES) 2001 to 2006 and NHANES III,” PubMed.gov, http://www.ncbi.nlm.nih.gov/pubmed/23981518 (accessed December 27, 2013). vi. Mary P. Guerrera, Stella Lucia Volpe, Jun James Mao, “Therapeutic Uses of Magnesium,” Am Fam Physician. 2009 Jul 15;80(2):157-162, re-published on American Academy of Family Physicians, http://www.aafp.org/afp/2009/0715/p157.html#sec-4 (accessed December 27, 2013). vii. Steven D. Ehrlich, “Magnesium,” University of Maryland Medical Center, http://umm.edu/health/medical/altmed/supplement/magnesium (accessed January 6, 2014). viii. Stephanie Seneff, “Could Sulfur Deficiency be a Contributing Factor in Obesity, Heart Disease, Alzheimer's and Chronic Fatigue Syndrome?” MIT Computer Science and Artificial Intelligence Laboratory, http://people.csail.mit.edu/seneff/sulfur_obesity_alzheimers_muscle_wasting.html (accessed December 27, 2013). ix. Rosemary Waring, “Report on Absorption of magnesium sulfate (Epsom salts) across the skin,” Epsom Salt Council, http://www.epsomsaltcouncil.org/articles/report_on_absorption_of_magnesium_sulfate.pdf (accessed December 27, 2013). x. National Institutes of Health: Office of Dietary Supplements, “Dietary Supplement Fact Sheet: Magnesium,” http://ods.od.nih.gov/factsheets/Magnesium-HealthProfessional/ (accessed December 27, 2013). xii. Ekechi Okereke, Babatunde Ahonsi, Jamilu Tukur, Salisu Mohammed Ishaku and Ayodeji Babatunde Oginni, “Benefits of using magnesium sulfate (MgSO4) for eclampsia management and maternal mortality reduction: lessons from Kano State in Northern Nigeria,” BioMedCentral.com, http://www.biomedcentral.com/1756-0500/5/421/ (accessed December 27, 2013). xiii. Wikipedia, http://en.wikipedia.org/wiki/Magnesium_sulfate (accessed December 27, 2013).